Andrew Fowler was judged to be first, gaining the ‘Supreme Award’ for lifestyle sales in 2016/17, as well as fifth for rural sales in 2016/17 and first for rural sales in 2015/16. Andrew has also won the supreme award for marketing excellence four out of the last five years. Andrew has managed large kiwifruit and avocado orchard developments and is a regarded horticultural consultant. He has been closely involved with the kiwifruit industry for many years. Andrew has been a high-profile deer farmer, a successful herd-owning sharemilker, and he’s managed a large dry-stock farm and a mixed cropping unit after studying Agricultural Science at Massey University. Andrew started and grew the successful organic agribusiness, NZ Vitalife, and subsequently sold it to Comvita after he had won a coveted TradeNZ sponsored Exporter of the Year award among other notable achievements. Andrew is recognised for his marketing and management skills in making these businesses so successful. 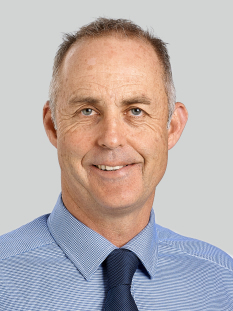 Andrew is a great asset to the PGG Wrightson Real Estate team and he is now keen to help farmers and landowners through the sale and purchase process and assist them with his marketing knowledge and specialist skills to achieve the best possible result. Andrew has a current database of buyers, bankers, accountants, developers and orchard professionals in excess of 8,500 clients. We couldn’t sing Andrew’s praises highly enough. Although we considered various other property companies, when we met him, we knew we could trust Andrew as the right man for this job. We could tell he would give it everything, and he sure did, above and beyond anything we could have expected.